Anyone who has used Android and Google services long enough will probably notice how much junk has accumulated in their contacts. There's a new version of Google Contacts in the works to fix that, and you can try a preview of it right now. Unless you have a Google Apps account. Duh. So there are cards, a floating action button, and a much cleaner UI. There are also some bugs, but it's a preview, so that's to be expected. Google has included a new version of its "Find Duplicates" functionality that is better at figuring out when two entries are the same person. 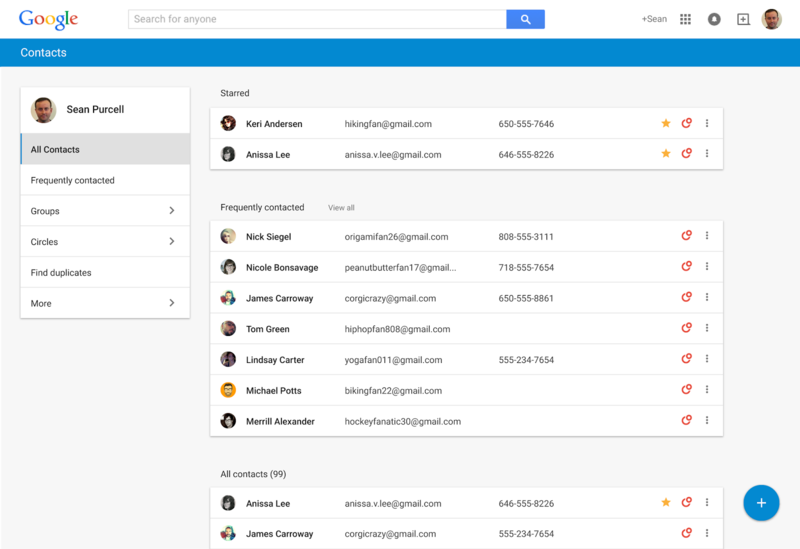 There's also support for keeping contact details up to date based on Google profile information. Lastly, your most recent interactions with someone (i.e. 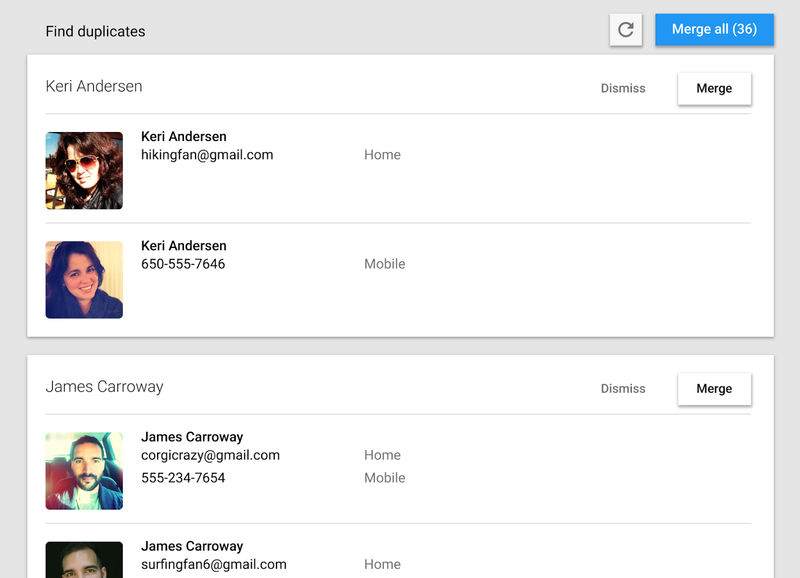 meetings, emails, and so on) will be listed on the contact card. 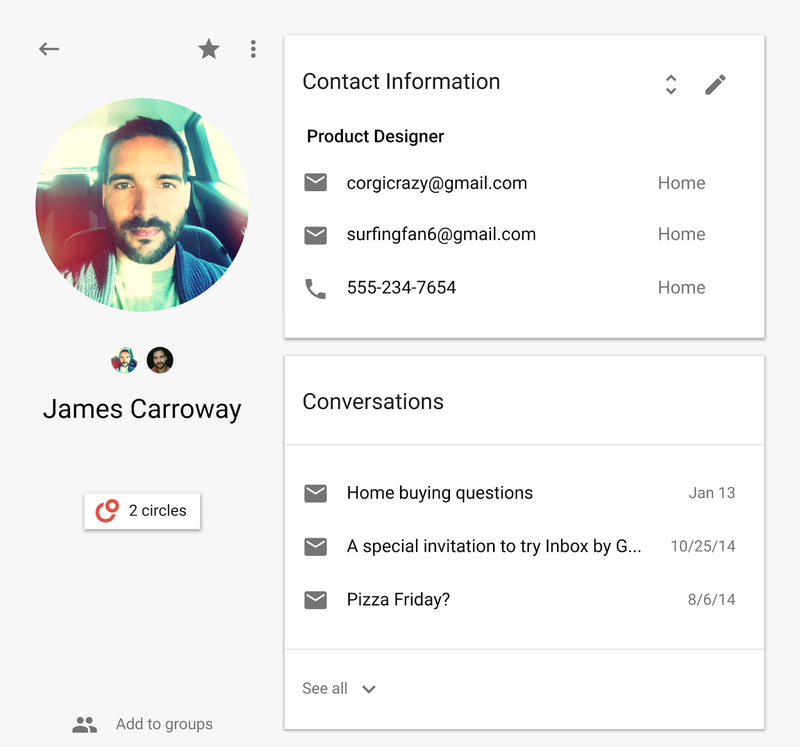 Google didn't say when this new Contacts UI would be official, but it must be getting close if they're letting the general public play with it. The preview is available as a dedicated URL for now, but it will be accessible through Gmail in the coming weeks.